Further film highlights throughout the festival include a homage to cult classic Heavy Metal with director Gerald Potterton in the house! The world premiere of A Bird in a Cage from the UK is a 19 minute short documentary animation that tells the story of Margaret Mackworth a pioneer of the suffragette society in the UK. Beauty, is an exquisite short, an ode to the Italian renaissance - one of the festival’s Best of Fantasporto Film Festival discoveries. And World of Tomorrow by Don Hertzfeldt, winner of the Grand Jury Prize at Sundance Film Festival / Best Animated Short, and SXSW Best Animated Short. And le MIAFF will be running a competition with a difference during every major screening! One audience member will be wired up with SENSUM’s wearable technology to take a biometric measurement of their subconscious and emotional response and engagement level to the films. The film that receives the most positive subconscious and emotional response wins! 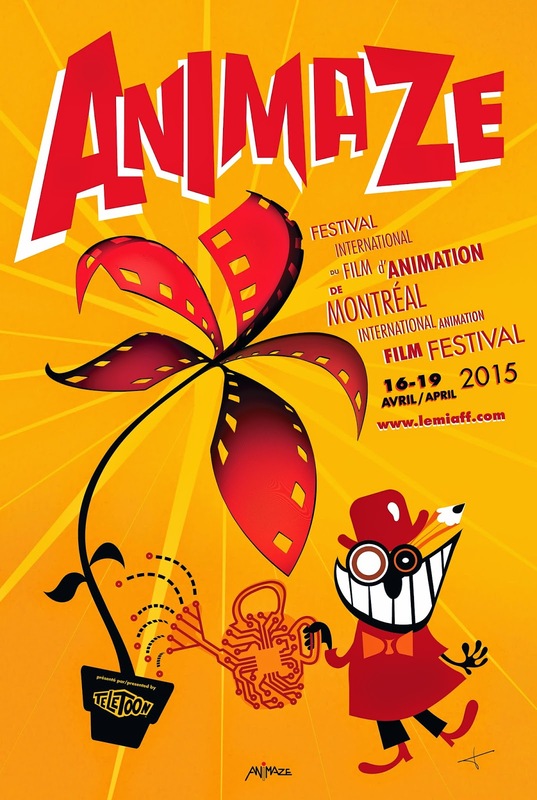 Alongside all the ANIMAZING films and screenings, le MIAFF is also a festival for professionals. Partnerships with TELETOON and Printemps Numerique present industry panels in animation for cinema, television and gaming with more than a dozen conference and industry networking events at the Concordia University Hall Cinema and deSeve theatres in downtown Montreal. Conference panels, masterclasses and speakers include: Oscar winning stop motion master Co Hoedeman, Maya Eriksson of the German Interactive Media Foundation producers of The Magic Flute and director Fons Scheidon share the experience of creating the graphic novel. From musician and filmmaker off the beaten path Chris shares his fascinating perspective of the NFB during the psychedelic era shares stories of Arthur Lipsett who refused Stanley Kubrick’s request to create the title sequence for Dr. Strangelove, Norman McClaren the lion in the hallway and tales of Montreal legendary animator Ryan Larkin and more. Director of the iconic cult film Heavy Metal, the three-time Oscar nominee shares his stories animating the Beatles Yellow Submarine, directing Buster Keaton and a spin of his rare record collection including a Peter Sellers rare cut and a never heard before soundtrack composed by Ringo Starr. And, finally, it’s not all work and no play at le MIAFF!! With a host of fab late-night parties - The Opening Night soirée, Reggae Night, Urockaoke, Anime Wine Tasting, and more, all held upstairs at Rosalie’s Restaurant, you’ll be able to party long into the wee small hours every night of the festival!